Shopping for your dream home, I can help. Details about new listings sent directly to your email inbox. Our Area Communities and Developments to help you find your next home. When buying a home, having my assistance can be equally as important. I have access to resources for assisting you in your home search not available elsewhere. I can also provide you with objective information about each property, and give you advice based on years of experience. I will help you negotiate – and also steer you through – the closing process to make sure everything goes smoothly. Karen was very helpful when I had to sell my home. It was an emotional process for me and Karen was very supportive and very understanding. She took care of everything for me. Sold a home in 2013 in Reno, NV. Karen was awesome! This wasn’t my first home buying experience, but it was the best! I love my new home. karen worked very hard to ensure escrow closed on time. Thank you Karen! Bought a Single Family home in 2015 for approximately $375K in Sparks, NV. Karen helped me find my first home in the year 2000. I felt perfectly comfortable with her and respected her professionalism and experience. Fifteen years later I needed to sell my home and find a larger one. I immediately thought of Karen and contacted her. She listed my house and guided me along the way on what to do to prepare for an open house. My home sold within ten days of listing without ever having an open house. She was quick to help me find a new home while we were waiting for escrow to close on the old house. During this time I felt as if I had found a NEW friend as well as a great agent with whom I trusted. She helped me with every phase of the selling process and made sure I understood what was taking place. Her ethics are not to be questioned. 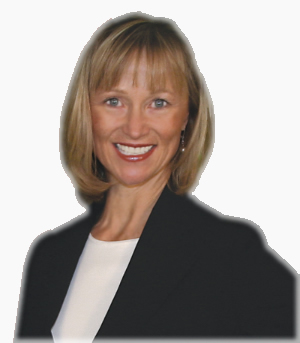 She is fair, honest, and very up front with her clients and interaction with other realtors. I would recommend her to anyone who is looking to buy or sell real estate.